"Myself,my wife, daughter. son in law and 3 grandchildren all went to Orlando. 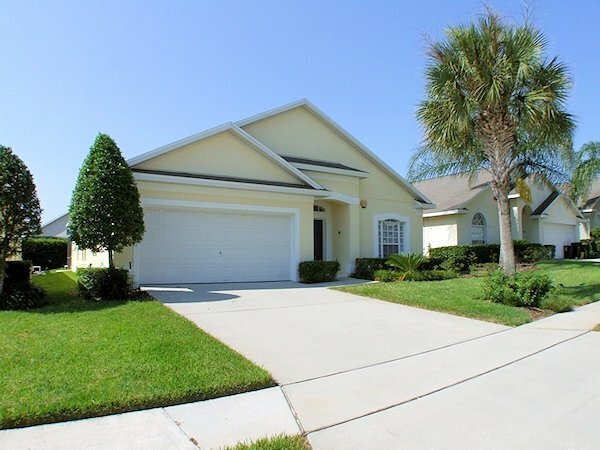 The house was easy to find, near to Disney and very well equipped. 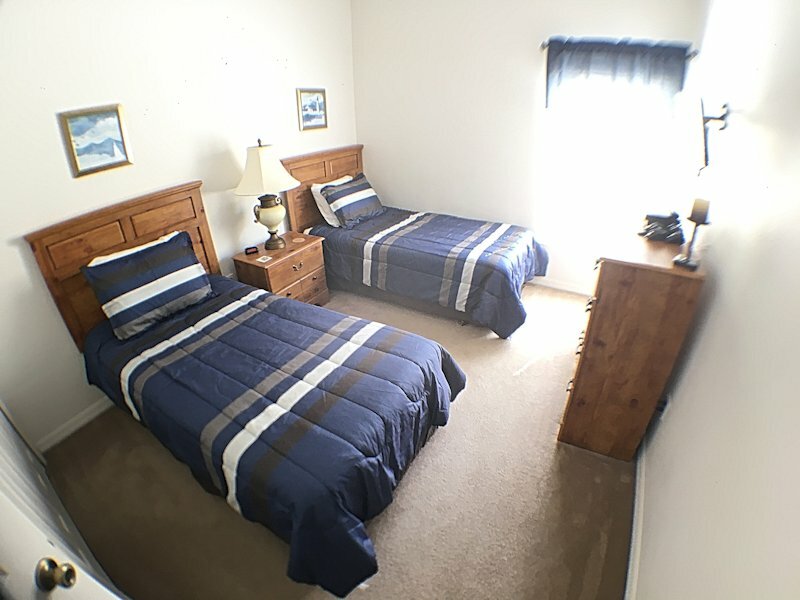 I was impressed that there were two main bedrooms. My wife & I occupied one whilst my Daughter & her husband occupied the second and their children had the other two bedrooms . My daughter had spent a load of money on park tickets, but I got the impression that the children would have been just as happy in the Pool, Clubhouse or games room. The acid test to a good holiday is to ask the question 'would you go back?' and we all would definitely return to the same house." 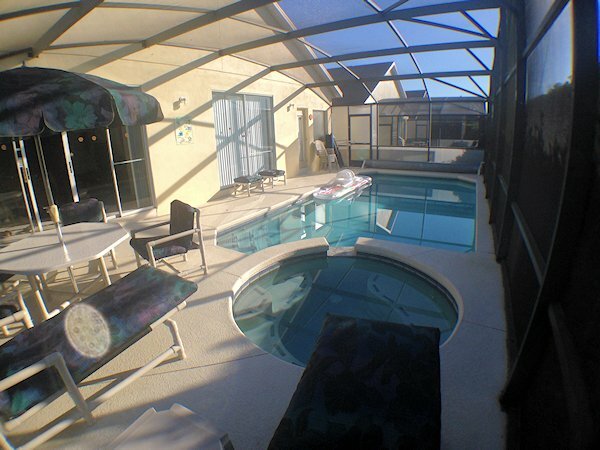 "We wanted to express our enjoyment during our stay in your house in Orlando in April." "Thank you, we had a really lovely time at the villa. Everything was great about the villa." "Just a quick note to say thank you...and how absolutely thrilled and impressed my family is with your home and all its comforts!" "We are enjoying your home very much"
"Back in England now and I wanted to drop you quick email to say how lovely your villa in Glenbrook was and really made our holiday for us..!! - defo will be using again:)"
"I want to tell you that I am very grateful for the excellent care you have given to our needs"
"We had a lovely time thank you, it was a shock to the system to arrive back to a temperature of 11 degrees Centigrade"
"We would all like to thank you for sharing your lovely villa with us and we all had a great time!!!!!!!!!!!!!" 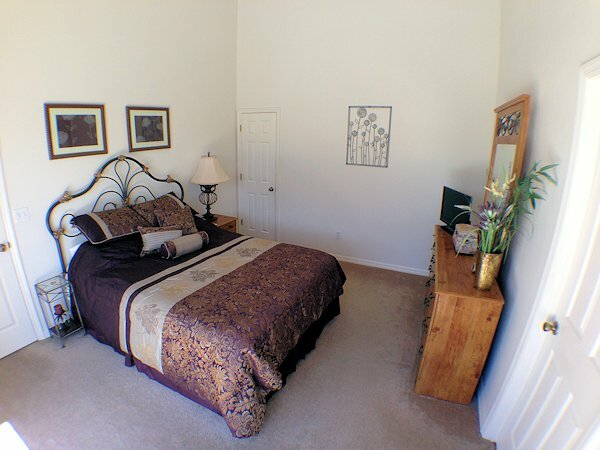 Snowbird season - Please inquire. Deposit £200 / $250 per week. 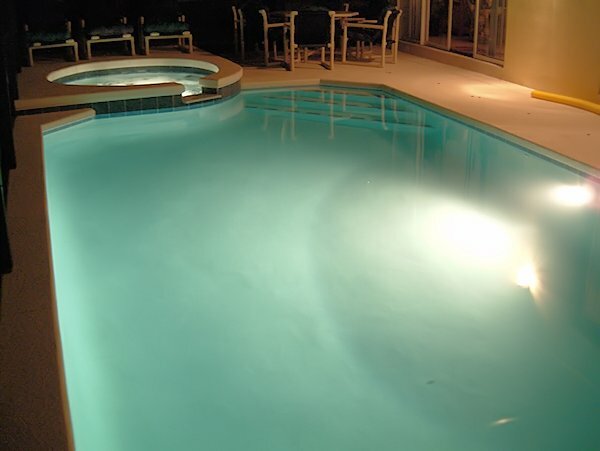 Pool/Spa heating available at a cost of £100 / $170 per week. US$ prices may vary slightly due to fluctuating exchange rates. 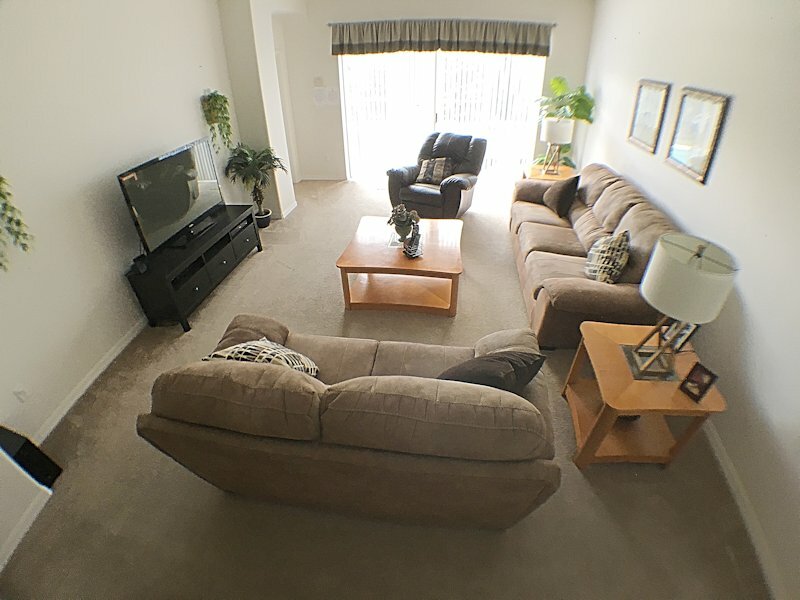 Prices are for the home, not per person - great value for a great vacation. Located just over a mile north of the US27 and US192 intersection, Glenbrook is a new development of around 270 luxury equipped villas - from 3 to 7 bedroom, each with a private screened pool. 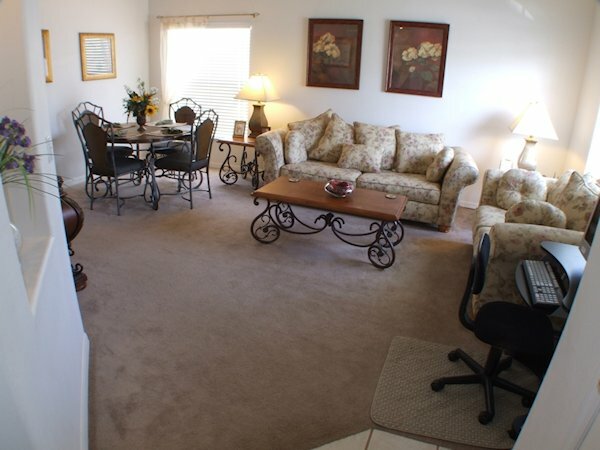 Alongside the palm tree lined roads, properties offer ample space and privacy. 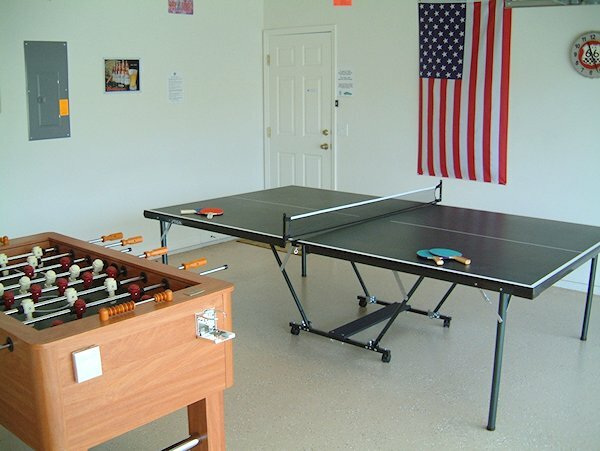 Central to the community is the clubhouse, which provides great facilities, including a media room with PC and Internet access (there is also Wi-Fi access), TV room, pool & air-hockey for the children and tennis, volleyball for the more energetic. 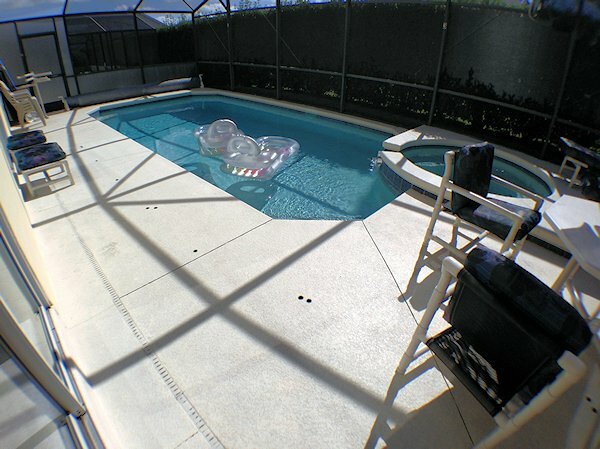 All this and a great community pool with fountain to keep you cool during those sunny Florida days. Access to Walt Disney World Resort is via US27, which with the improvement of the roads around the area should make getting to and from the parks straightforward and enjoyable. If you are heading for Seaworld, Universal Studios or the International Drive area, carry on past Disney and head north on Interstate 4. At the entrance to Glenbrook is the local supermarket, with a couple of gas stations at the junction with US27. For essentials, the WalMart Supercenter is conveniently located just over 1 mile south on US27. Adjacent to this is a Blimpie Subs & Salad, Chilis, Quiznos sub, Wendys, Taco Bell, a Chinese take-away and a number of local pizzerias not too much further. Should you need it, there is also a Lowe's electrical superstore on the other side of the road. For evening meals, a number of restaurants can be found on the US192 (towards Kissimmee), however, if you prefer to stay closer to home, there is Randy's restaurant and Devenney's Irish pub not too far. Two dining areas - seating for up to 10 people. 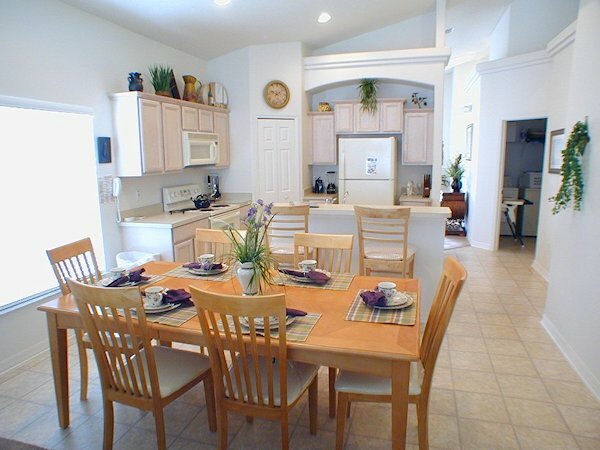 Fully fitted kitchen (incl oven, microwave, dishwasher, blender, mixer, toaster) to make your stay hassle free. 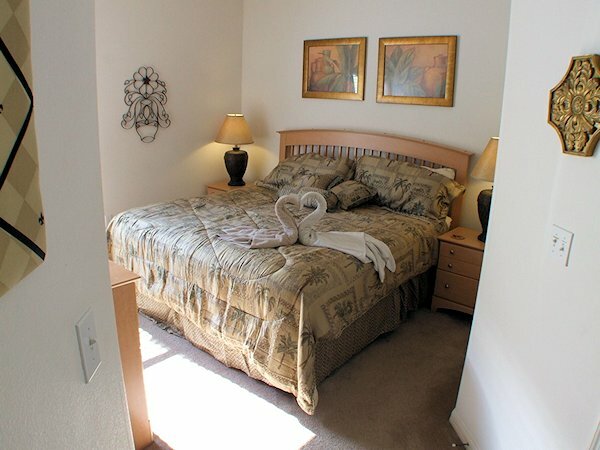 Sunshine Palms offers 2 master bedrooms - king and queen with modern conveniences such as Pillow Top Mattresses and flat screen HDTVs with cable TV. 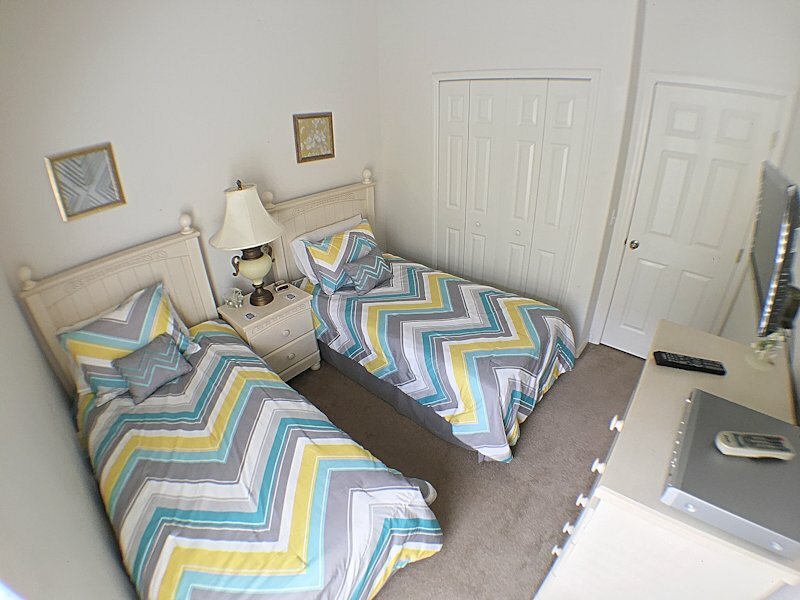 Two twin bedrooms designed to suit all ages with flat screen HDTVs with cable TV and an accompanying third bathroom. Sunshine Palms comes complete with a private south facing pool/spa (safety screen provided), with a table, chairs, sun umbrella and sun loungers. Pool Heating is available upon request. 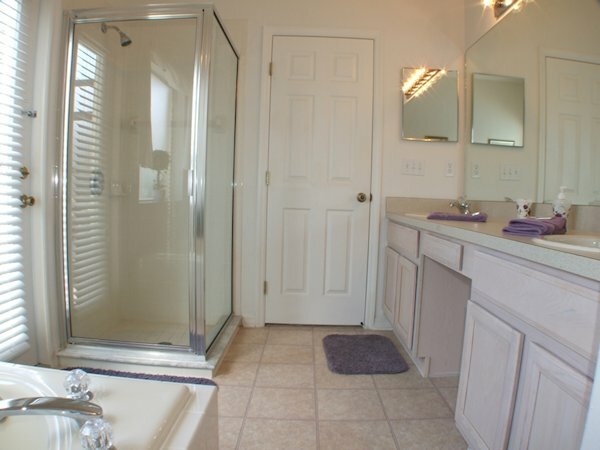 Baby/Toddler facilities: Cot/crib, high chair, baby monitor, booster seats for dining (2), toddler bed safety rails (2) and strollers (2) provided (free of charge). Additional cribs can be organised.